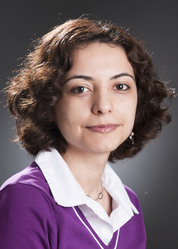 The Automated Software Analysis (ASA) group at the Institute for Theoretical Computer Science focuses on improving the reliability of software systems by developing automatic techniques that increase programmers' confidence in their developed systems. We mainly focus on checking correctness of object-oriented programs that extensively manipulate data structures. Our analysis uses a first order relational logic with transitive closure to handle dynamically allocated objects and to analyze their configurations in the heap of a program. This logic is then translated to simpler logics that can be handled by SAT or SMT solvers. Similar to other static analysis techniques, scalability to large programs is the major challenge. We investigate different ideas to make our analyses scalable, while keeping them fully automatic, practical, and easy to use. In addition to developing general program analysis techniques, we study what problems arise in different domain-specific applications, and investigate how our techniques can be adapted to such domains. M. Taghdiri, R. Seater, and D. Jackson. “Lightweight Extraction of Syntactic Specifications”, 14th Symposium on Foundations of Software Engineering (FSE), Nov. 2006, Portland, Oregon. M. Taghdiri and D. Jackson, “A Lightweight Formal Analysis of a Multicast Key Management Scheme”, In Proc. Of the 23rd IFIP International Conference on Formal Techniques for Networked and Distributed Systems (FORTE), pp 240-256, Oct. 2003. R. Khosravi, M. Ghodsi, and M. Taghdiri, “Shortest Point-Visible Paths on Polyhedral Surfaces”, 10th International Conference on Computing and Information (ICCI), Nov. 2000. M. Taghdiri, and F. Ivancic, "Analyzing Java Programs with F-Soft”, NEC Laboratories America, Inc. technical report TR-2004-L070, Sept. 2004, Princeton, NJ.